Part two of the Holland, Michigan, visit was on the way home. I had read about saucijzenbroodjes, a Dutch specialty that translates sausage in bread but which is more commonly rendered “pig in a blanket.” The “blanket” in the case of this dish is wonderful, flaky pastry. 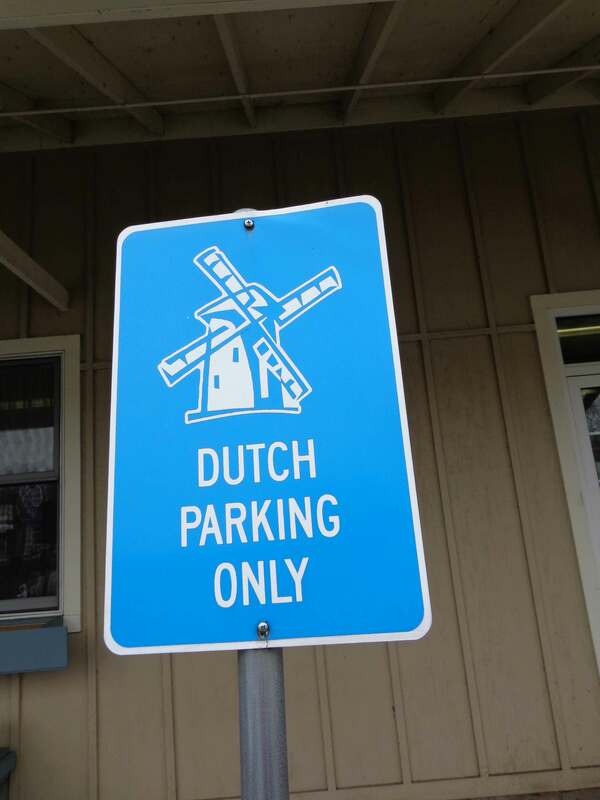 And in case you’re wondering if they take the Dutch presence in the area seriously. I had found reviews online, and what I’d read was confirmed by folks at Windmill Island: DeBoer’s Bakkerij (Bakery) would be a great place to try this dish. This proved to be true. 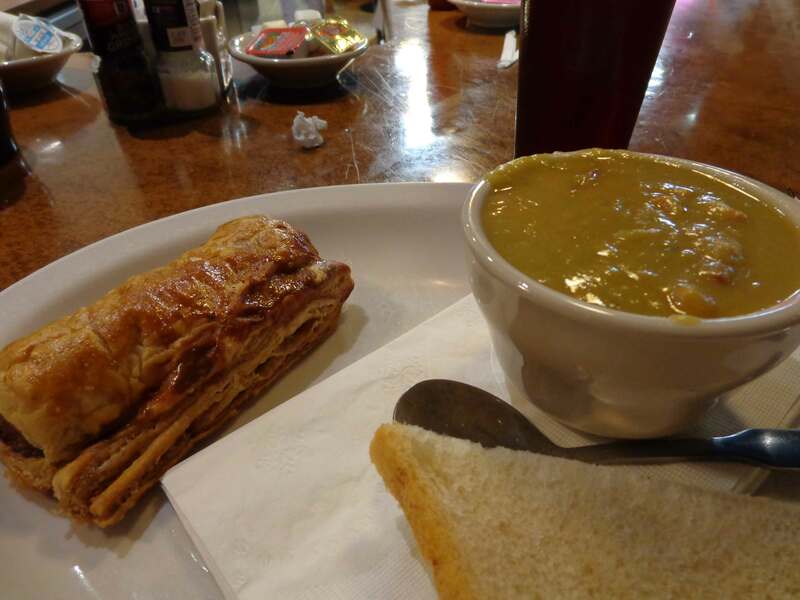 The pig in a blanket was tasty, and the split pea soup served with it was the most flavorful, ham-filled pea soup I’ve ever had. 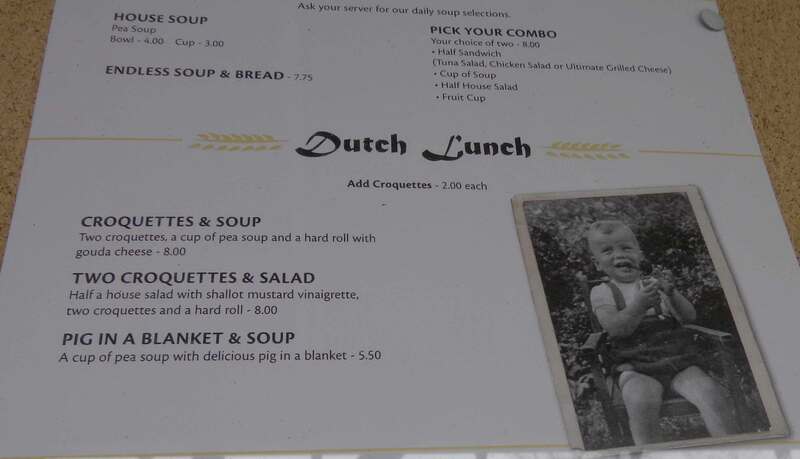 A tasty lunch, and a fun way to reaffirm the continuation of Dutch culture and traditions in the region. In the previous post, I showed the Amsterdam street organ. I mentioned that it was a bit like a player piano, and this video shows the punched “pages” that create the music. Also visible is the electric motor that now runs the machine. Originally, however, it would have been cranked by hand. So a lot more work in 1928 than it is now. Note that the costumed interpreter briefly covers her ears; the organ is surprisingly loud, and that appeared to be the reaction of everyone when it first started playing. But now you’ll know how it works. 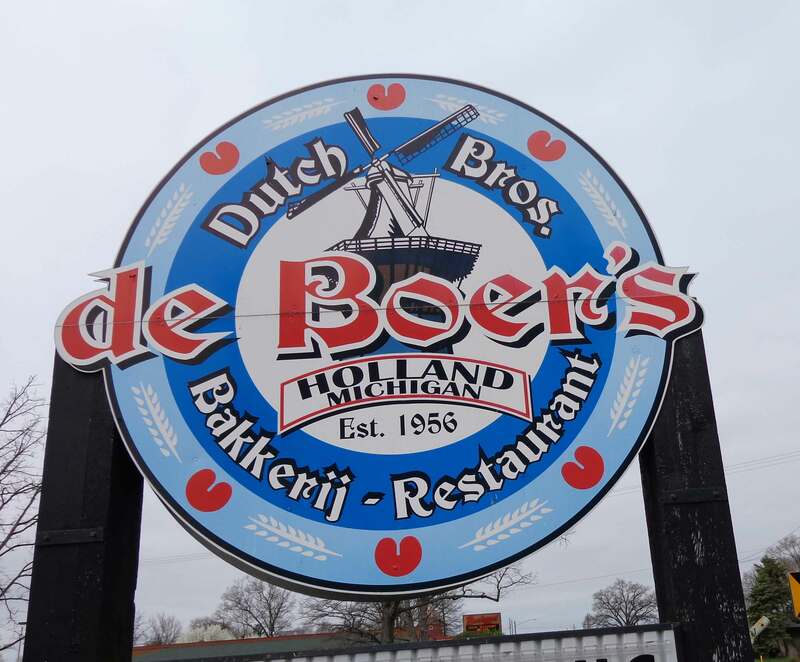 In April, when a speaking engagement necessitated a drive through western Michigan, I took the opportunity to visit Holland. While the Dutch settled a number of places in the U.S., the greater part of Dutch settlers in the mid-1800s headed for this part of Michigan. I was too early for the tulip festival, but there were still a few things I wanted to check out, including Windmill Island. Windmill Island is the location of DeZwaan, the only Dutch-built windmill in the U.S. DeZwaan is 250 years old. 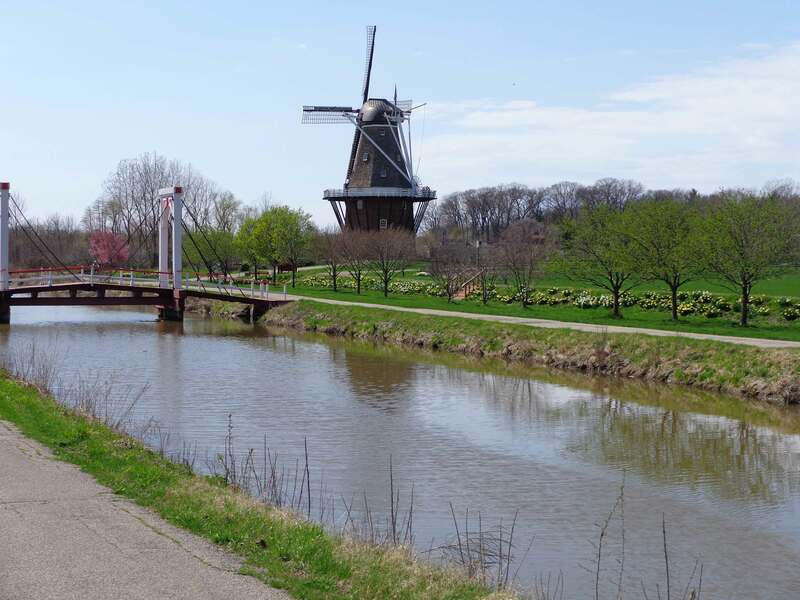 It was originally built in the Netherlands, where it spent most of its existence grinding grain before being dismantled and brought to Holland, Michigan. 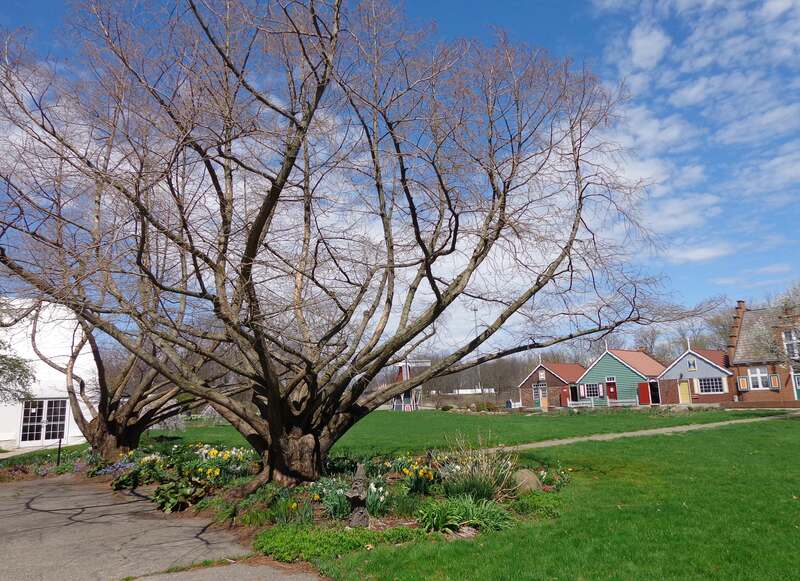 The handsome windmill is the centerpiece of a 36-acre park that is planted extravagantly with flowers (fortunately, many of them blooming in April). The buildings are not numerous but are all constructed in Dutch style. These offer gifts and food for purchase and history to learn. But the main thing to do is stroll through the gardens and visit the windmill. As I crossed from the entrance to the Post House, I noticed a couple of very interesting trees. A sign identified them as Dawn Redwoods (and looking them up later confirmed this). I loved these odd, many-branched trees. I wandered through gardens filled with daffodils, hyacinths, and tulips, and headed for one of the classic Dutch drawbridges that makes it possible to cross over to the windmill. I mentioned my interest in food history to one of the costumed interpreters at the windmill, and she excitedly said I had to meet Alisa. She phoned the front office and found that Alisa was in, and she headed over to the mill. Alisa is Alisa Crawford, the miller at the windmill. Alisa has the remarkable distinction of being the only Dutch-certified millers in the United States, and the only woman in the Dutch millers’ guild. We spent a fair bit of time talking about food history and Dutch history and her experiences and training. 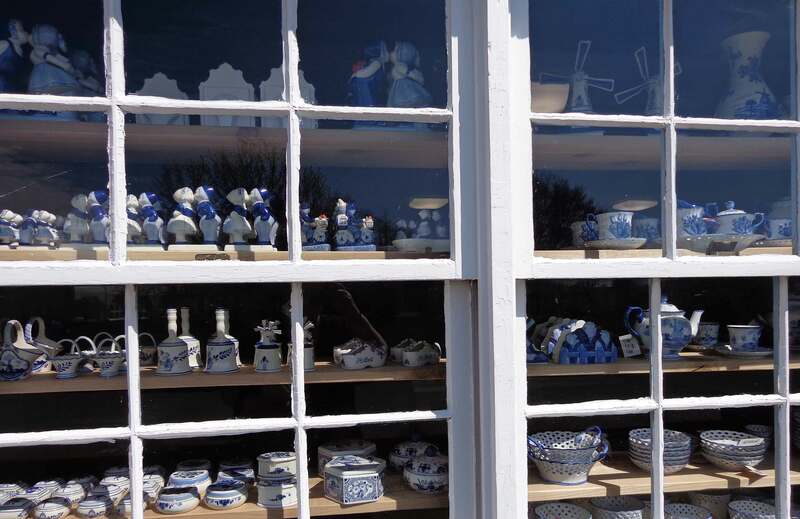 Finally parting company with Alisa, I wandered over to the row of buildings were Delft china and Dutch cookies are for sale, and where one can wander through a recreation in miniature of the Island of Marken in the Zuidersee. Learned that Peter the Great lived in the Netherlands for a while, learning the ship-building trade, to take back home to Russia. I ended my visit with a stop by the wonderful, old Amsterdam street organ. This once popular form of entertainment is something of a cross between a pipe organ and a player piano. 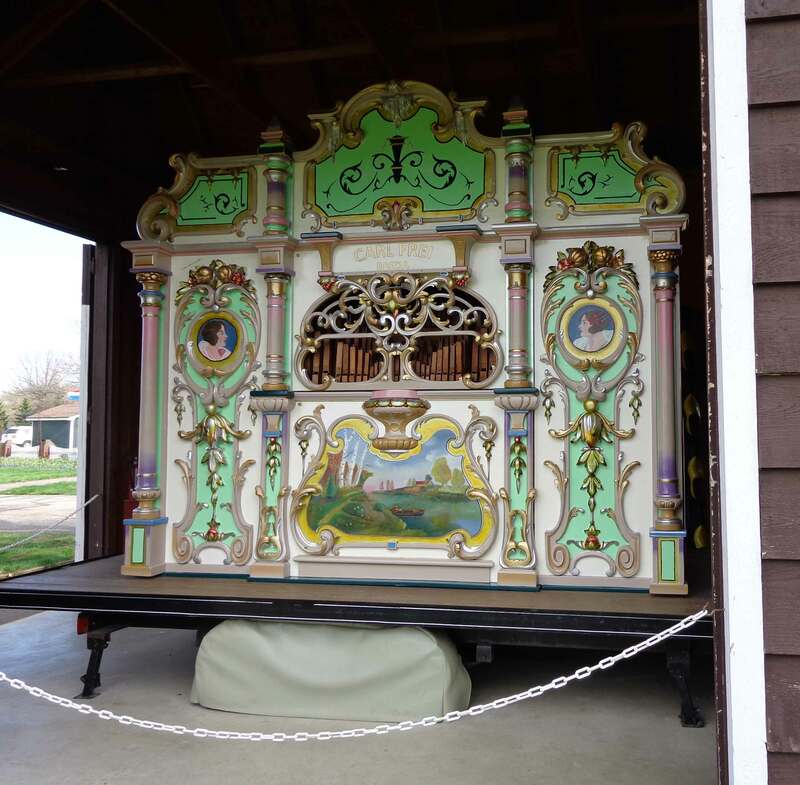 A costumed interpreter came out to tell us (me and two other visitors) about the street organ: built in 1928, long used on the streets of Amsterdam, but given to Holland, Michigan after World War II, as thanks for American help during the war. We listened to it play, and I was astonished by how loud it was. But as the guide noted, it had to be heard over the crowds on a bustling city street. Delightful way to end my visit.